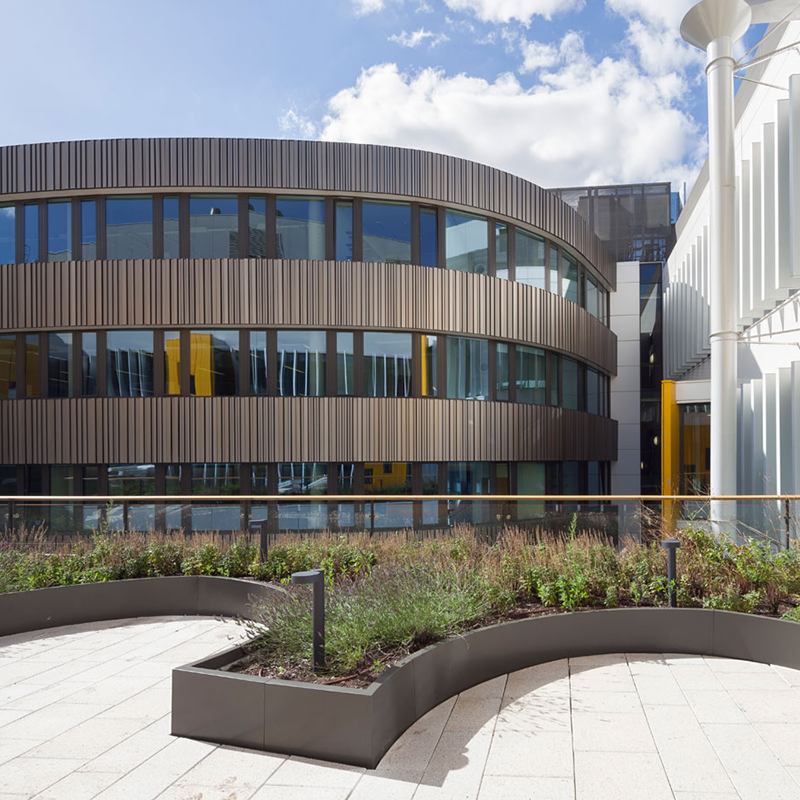 The new Diamond building provides world-leading facilities which promote social and collaborative working and multi-disciplinary learning. 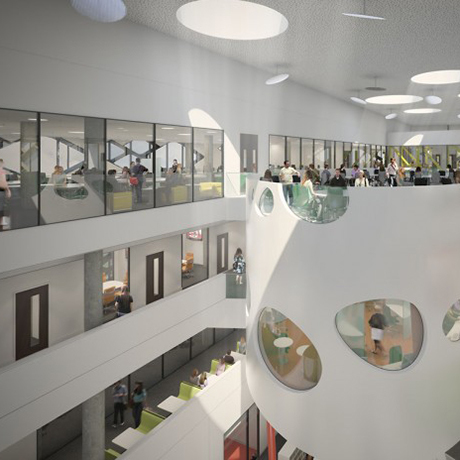 Delmatic DALI systems provide energy efficient control of lighting throughout the new engineering building as well as innovative control of study task lighting. 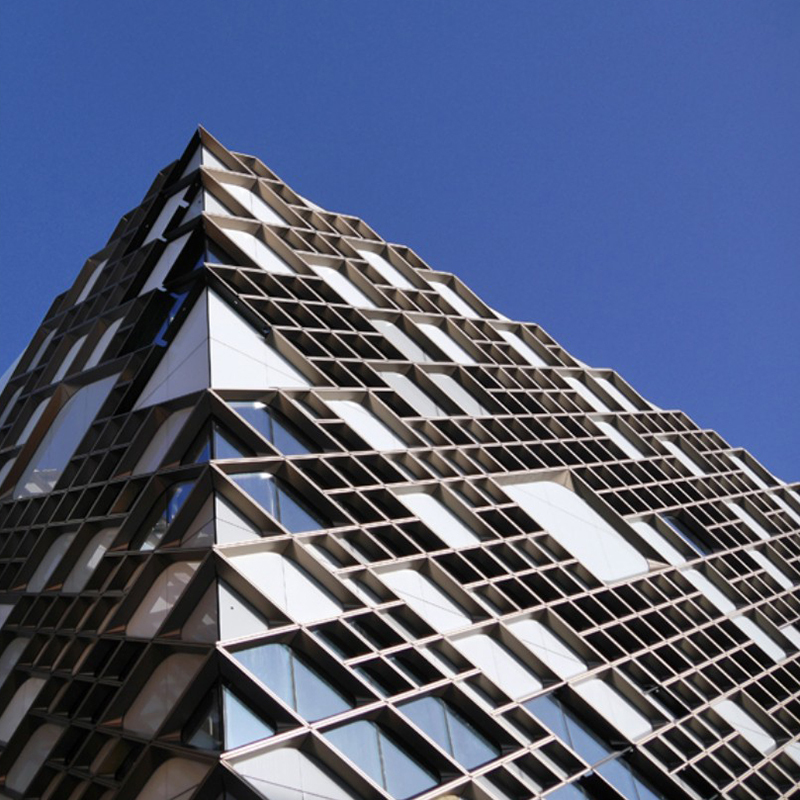 The University of Sheffield’s new Diamond building for the Faculty of Engineering comprises specialist engineering laboratories, a range of lecture theatres, large scale flexible teaching spaces, seminar rooms, library services, and integrated formal and informal learning environments. 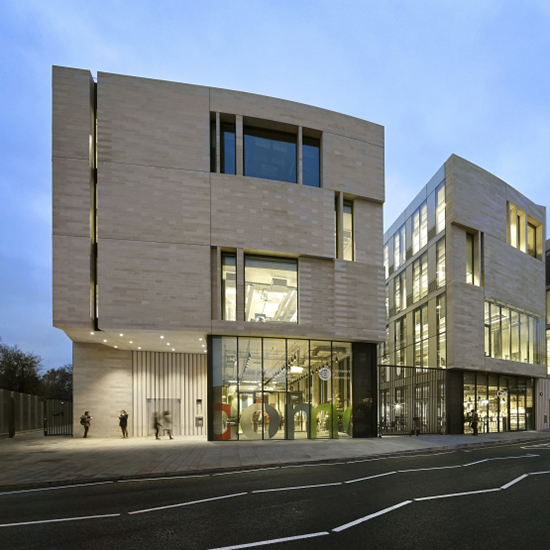 A Delmatic DALI system manages and monitors lighting throughout the building as well as providing comprehensive DALI testing and monitoring of emergency lighting, and innovative control of task lighting in study areas. Multisensors optimise efficiency in laboratories, teaching, classroom and study areas, as well as support areas and offices: the majority of areas are also provided with local user override via pushbutton switches or scene set switches enabling absence detection to be implemented and allow users to adjust lighting levels to suit preferences or tasks. The lighting scheme makes extensive use of task lighting within open plan study spaces and study pods and the Delmatic system provides innovative presence-related control of the task lighting. 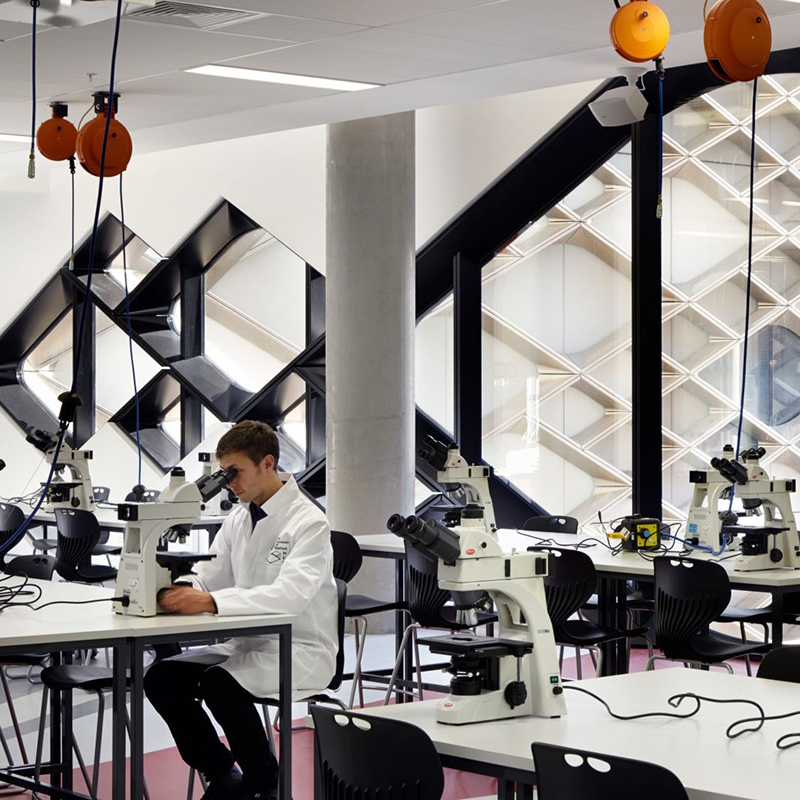 Presence detectors integrated with the desks and furniture individually monitor occupation of each of the 900 personal study space and relate lighting to occupation to totally optimise energy efficiency. The system includes scene-setting within the lecture theatres enabling selection of programmed lighting scenes and allowing illumination levels to be raised or lowered to suit the function of the room. The complete system is managed and monitored through graphical head-end software while testing and monitoring of emergency lighting is also managed through the Delmatic DALI modules. 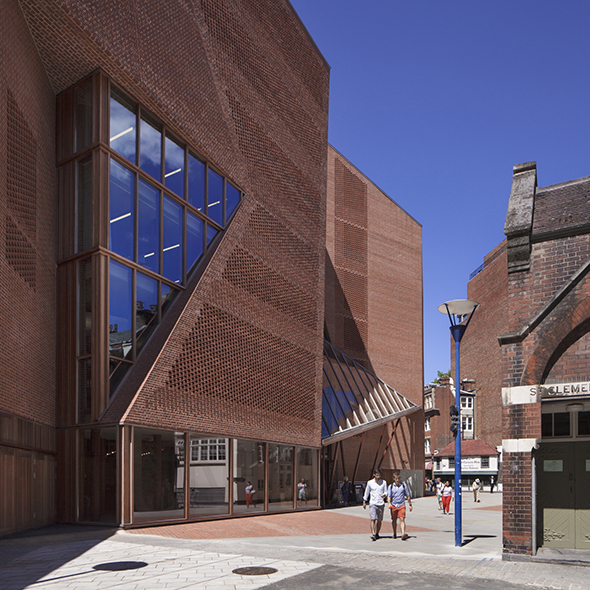 The system contributes to the building’s role of practical learning. The Delmatic system shares real time feedback on the lighting network and installation with the BMS via BACnet allowing detailed monitoring and analysis of live data as part of engineering studies and learning.